Rhino Mat easy kleen anti-fatigue mat. 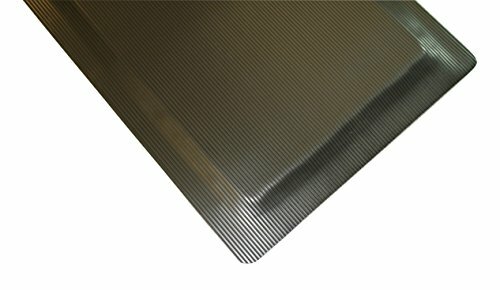 Wide ribbed vinyl surface ensuring quick and easy removal of dirt and debris from mats. 1/8-inches thick round ribbed vinyl surface with a resilient closed cell polymeric sponge base. Black color with beveled sides. Made in the USA.